Jonny Benjamin MBE shares his story. 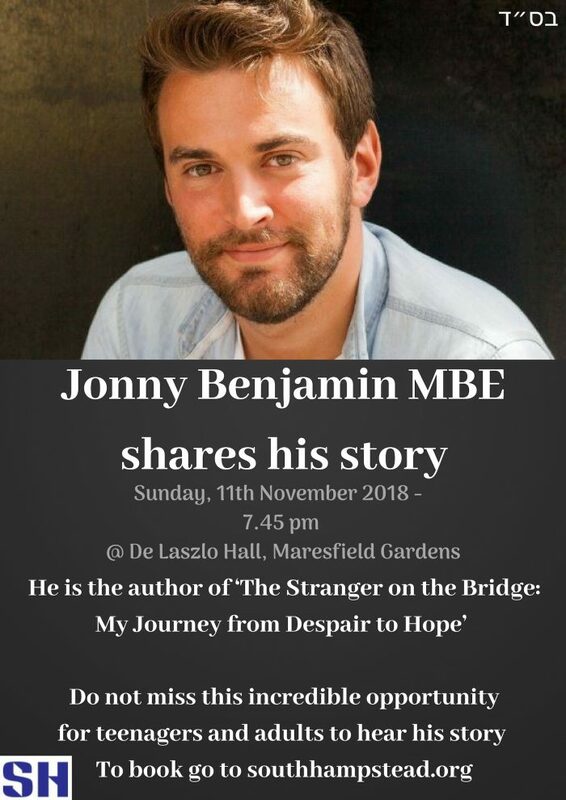 Jonny Benjamin is an award-winning mental health campaigner, film producer, public speaker, writer and Blogger from London. He is the author of ‘The Stranger of the Bridge: My Journey from Despair to Hope’ charting the story of his diagnosis of schizoaffective disorder and his search for the man, Neal Laybourn, who stopped him from taking his own life on a bridge in 2008. Do not miss this incredible opportunity to hear his story.